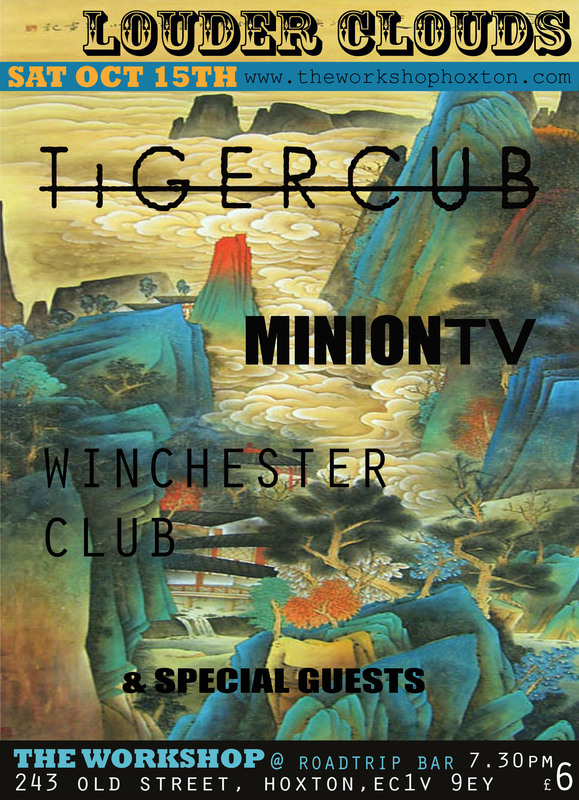 We’re playing at The WORKSHOP (underneath the Roadtrip Bar) in Old St. on October 15th, supporting the magnificent TIGERCUB and MINION TV. Tickets are £4 before 8pm. Louder Clouds is positively embarrassed at how beautiful these bands are! Our little rockshop hosts another night of beautiful hybrid music not for the faint of heart or lazy! Music that is hard to put into words, which is surely the best kind of music there is innit! Massive! Just massive. Big soundscapes and beautiful details, some vocals and trippy visuals….really really good bands. that is all!….